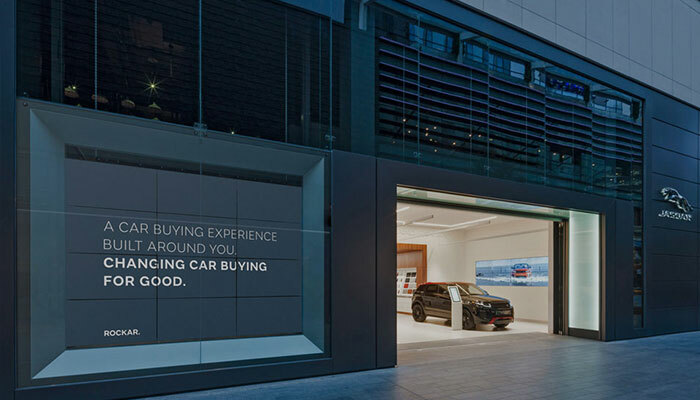 Rockar offers customers a fresh & pioneering way to buy a car, first with Hyundai and now with Jaguar Land Rover in Westfield Stratford. Following the successful launch of Rockar Hyundai in Bluewater and Westfield Stratford shopping centers, Jaguar Land Rover became the next brand to partner with Rockar. MediaZest worked alongside Dalziel and Pow, who again designed the concept, to bring this experience to life. 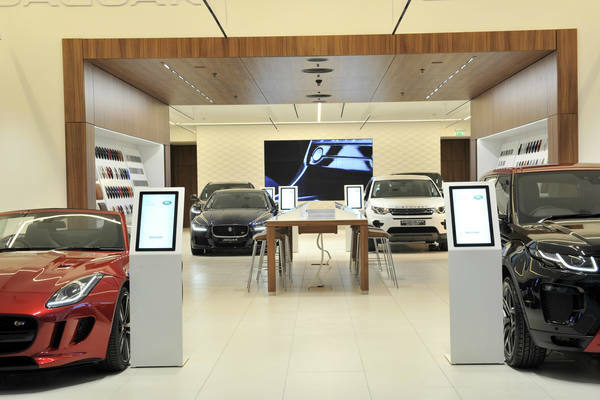 At the heart of the experience, multiple interactive touchscreens allow customers to browse, test-drive, sell their car and buy a new one at the touch of a button; with no interaction from sales staff only support from customer service “Angels”. 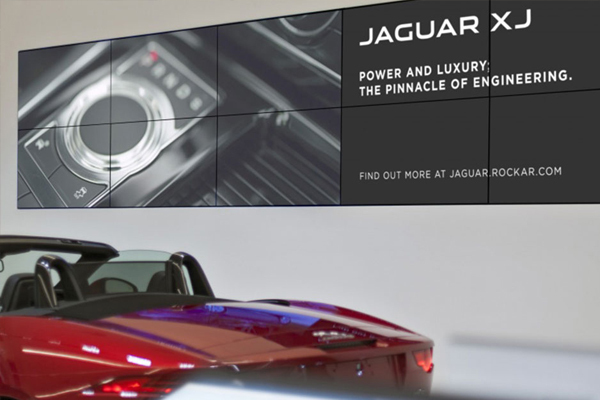 The AV system design needed to maintain the Rockar way to buy a car, but reflect the Jaguar Land Rover brand. 5 huge internal videowalls provide branding, aspirational and tactical messaging, reinforced with our most spectacular videowall installation yet in the front window. 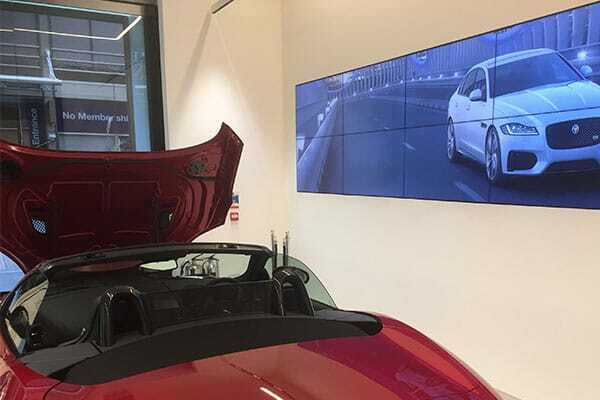 A custom designed 12 screen videowall rises on the hour to reveal a hero car providing real ‘wow factor’ – an incredible piece of engineering involving bespoke brackets and winch system to lift over 500kgs of videowall safely up and down almost 6 metres in the air whenever required. Quite possibly the world first! Once again customers have responded with huge numbers of visitors to the store already and sales growing momentum every month.